What is the promise of the cloud? 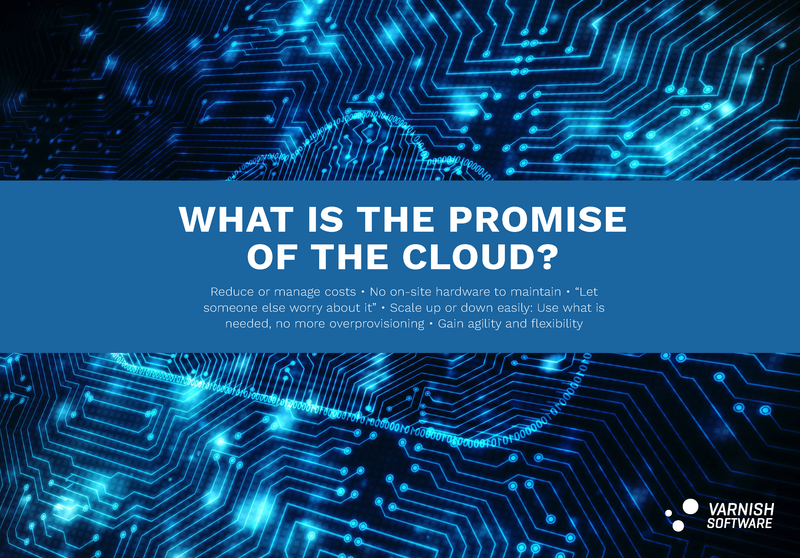 In this e-book, we will explain cloud technology and some of the reasons why you should consider moving to the cloud or look into a hybrid cloud strategy, how much you might consider offloading and what benefits you can gain. Complete the form to learn about different cloud strategies and see how Varnish Plus Cloud can benefit you - get your guide on cloud best practices!